A few months ago, I wrote about how becoming a music teacher can be a great side hustle to earn you good cash. The post outlines how you can make use of your skills and knowledge in teaching music and playing different instruments. In today’s post, I’d like to go more specific and talk to you about becoming a piano tutor. We all know that music benefits a child in so many ways. Studies have shown that children who take piano lessons become smart adults. This is because children learn how to read two lines of music. Ears and arms, feet, legs and fingers are all used simultaneously as the brain gives each body part tasks to perform. Playing the piano is known to be the most effective activity that allows these skills and relationship to develop. As the brain and the muscle make connections, it grows a person’s coordination which can be very helpful in daily activities. Learning to play the piano aids a person to use both the left and the right side of the brain. Furthermore, it has also been found out that piano lessons help people become more focused, goal-oriented and patient. With all of these amazing benefits, playing the piano is not only useful for the student but also for the teacher. You can teach anyone, not just kids. If you are a great piano player, you know that teaching some lessons will surely get you good money in return for your effort. Know your competency level. If you aspire to teach piano lessons but feel that you have not yet reached the brilliance of Mozart and Beethoven, you can still offer your lessons to adult people who are starting to learn the piano and to young children. The more lessons you do, the more it also practices you. Once you have advanced your skills, you can accept more advanced students to tutor too. Be patient and positive. These are good virtues to consider when you want to teach. As a teacher, you need to be patient with all your students. Some students may learn fast, others may not be. Always have a positive disposition as your teach. Be a friend to them especially to a child who is starting out. Go to a music school and get certified. This may not be that necessary but think of going to a music school as an investment. If music is really your passion and you would like to study the theories, go for it. The greater knowledge you have theoretically and in practice, the more highly your students will think of you. It will also put leverage on your ability compared to those piano teachers who have not enrolled in a formal music school. The answer here depends on a few factors –that is, if you went to music school and have other credentials to show and if you go the extra mile to reach your student’s house. You have to consider your education, your studio rent and other miscellaneous when you conduct the pricing. Moreover, think about how you would want to offer your lessons, is it per lesson or do you prefer a package of 6 lessons or something else? Know what works best for you and your student. According to an online forum, pay per 30-minute lesson ranges from $30 – $80. Pretty great, eh? HOW DO YOU MARKET THIS HUSTLE? Set up a Youtube channel. Play some tunes and upload it on your channel. This will bring you a following and maybe eventually some clients. Set up your website. Alongside your youtube channel, make sure that you have your social media accounts set up as well. Interested people will comment and send you messages on your facebook, twitter or Instagram account. Go out and send out flyers. This is the simplest and easiest way to advertise your hustle. Have some friends and go out to the park or a playground and hand out some flyers. Find a place to perform. This is a wonderful way to promote yourself. You can go to a fair and ask the organizer to let you entertain the shoppers or you may want to organize a small concert in your community to let interested people know that you offer piano lessons. If you have all your shots ready to go, there is no reason not to take your hustle to a business venture. This will not only be lucrative but will also be a great way for people to learn some new musical skills that they can enjoy at home. Get the necessary permits and licenses. For this, you may have to inquire in your local state department for the necessary requirements for the permits and licenses you may need to start your business. In addition, do not forget to file your taxes to avoid trouble with the government. Have a business plan. Think about why you wanted to start a business. You should consider too the payments you will be making for a rented space, your employees, taxes and many others. Have a piano studio. Although you can have this business in your home or apartment, renting a space will be much more practical. First, people will be able to easily familiarize themselves with your studio and secondly, you will be able to have a separate space for work. Hire some piano teachers. If you need some help with your business, do not hesitate to hire additional piano tutors or a secretary to ease the work. If you have ventured into a business, it is a definite fact that your number of students are growing and eventually, this cannot be a one-man’s job anymore no matter how hard working you try to be. Invest in good equipments. Refrain from being too frugal in buying your equipments. You may think that purchasing an inexpensive piano will be a good investment yet if it wrecks easily, your hopes of saving some money is actually futile. If you want to save money, find some well-working equipments on sale online that you are sure of great quality. 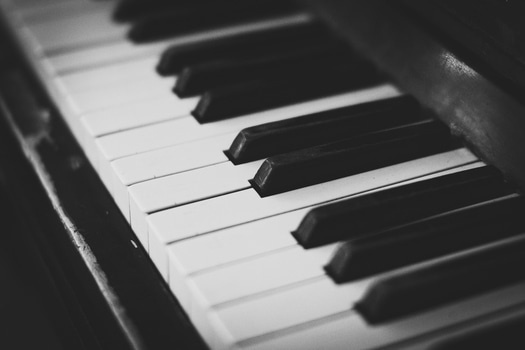 When you make teaching piano lessons your side hustle, you can be sure that you are not wasting your skills and knowledge as this is a great and profitable idea to pursue. What are you waiting for? Teach some piano lessons today.